There are many ways that you could choose to finish the edges of a piece like this, but I decided to keep it pretty simple since the motifs are complex and varied. 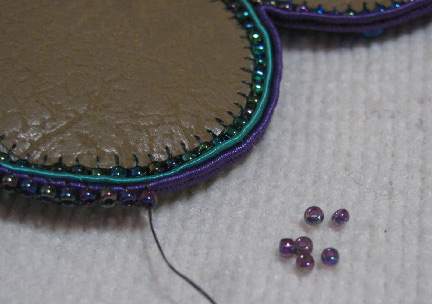 Add beads along the entire outer edge using the edging brick stitch (instructions available in first chapter of Every Bead Has a Story, free). 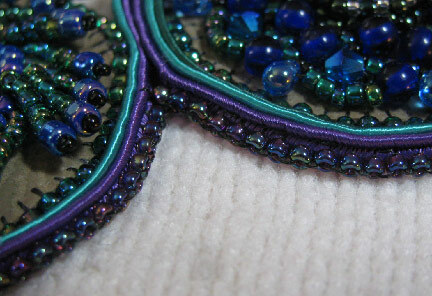 I stitched only through the top layer of soutache braid, the back edge. 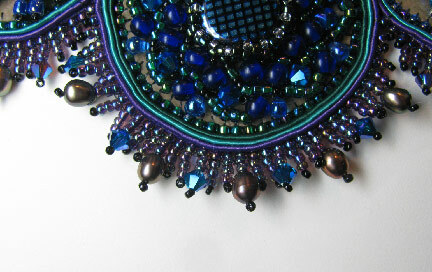 I added a simple stack stitch (mini-fringe) to each bead along the top edge of the necklace. 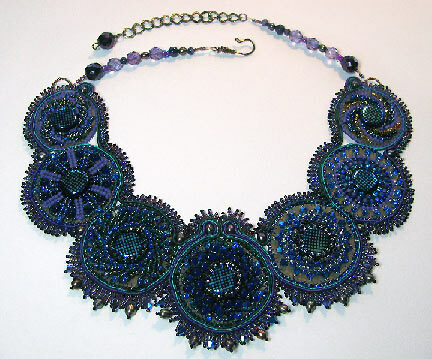 The bottom edge was also finished with stacks, but I added some larger beads for embellishment to the middle three motifs. Turn a wire hook, or choose an appropriate pre-fab clasp if you prefer. 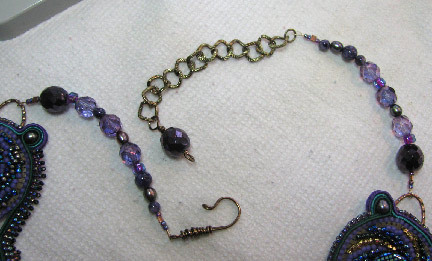 Use beading wire to string two short strands of beads, and add the hook to one end and some chain to the other. I added a small dangle to the end of the chain. Nice chioce of finish, Cyndi. I think that the soutach looks great. It adds a new dimension to your work. I have been wanting to try it but haven't yet. There are so many new thing to try and I don't get to them all.